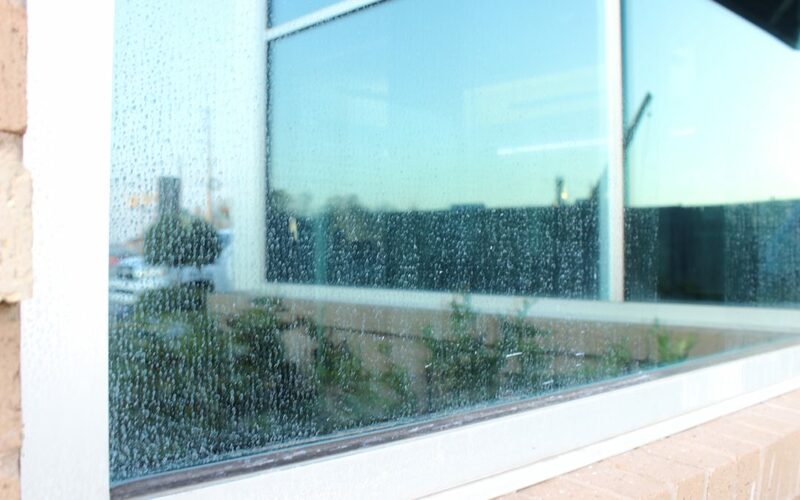 Window cleaning in Tulsa isn’t the only service we offer. We also offer hard water spot removal! I was asked to perform a hard water spot removal demo on the damaged windows at the 91st & Delaware branch. They have been having problems with these unsightly stains for a while now, but after this demo…I’ve got a feeling clean and clear glass is in their future! For this hard water spot removal demo, I simply applied two lines of blue masking tape parallel to each other on my glass, and polished the glass in between the 2 lines of tape. 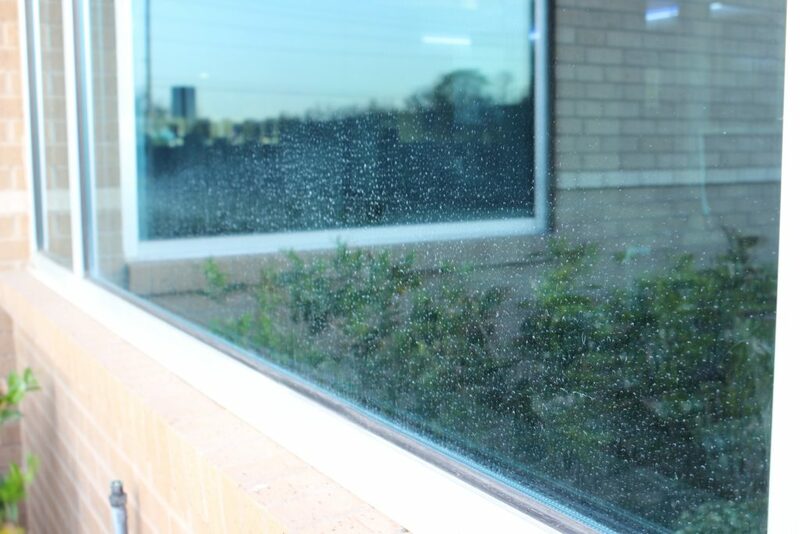 After you remove the tape, you’re left with these straight dividing lines between damage glass and restored glass. Using this form of presentation makes it much easier for the customer to see exactly the level of results our processes and methods are able to achieve. Right after completing this demo, I contacted the property manager for all of the Arvest branches to let her know that I had completed the hard water spot removal demo, and that it went well. I was surprised to hear that the property manager had already been contacted by the general manager of the Arvest Branch I had just completed the demo at. Apparently, the general manager had contacted the property manager to let her know how well the window looked where we performed the demo. I was really happy to hear that. It’s one thing to be proud of the work you accomplished, especially knowing you did a great job. It is a whole different story though when someone praises your work and confirms what you already new in your mind, that you did a great job. Nothing puts me in a good mood for the rest of the day better than a customer who is ecstatic about the level of service they received.